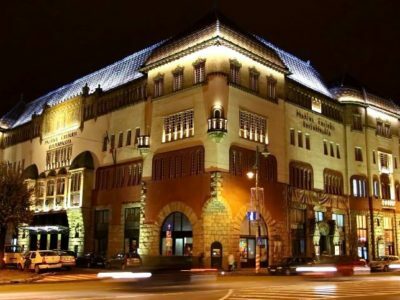 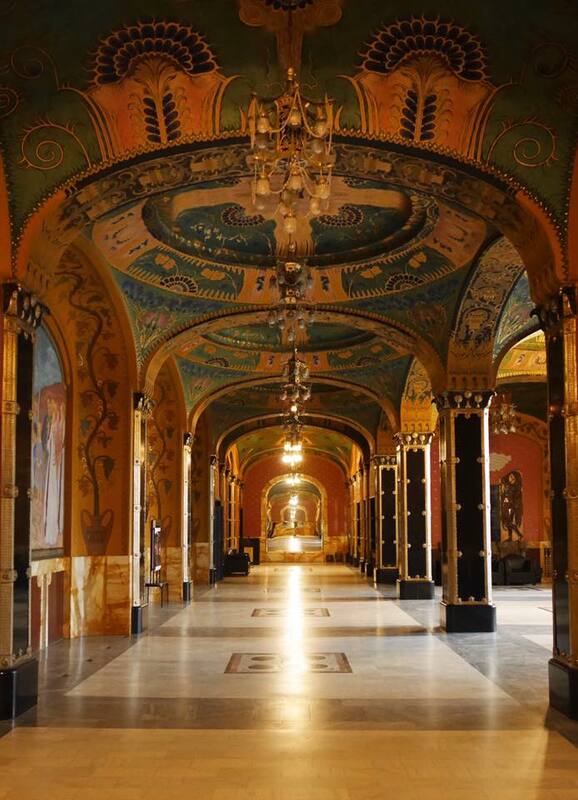 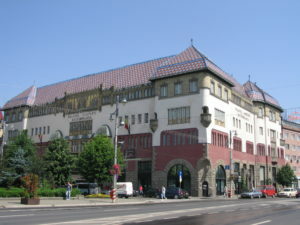 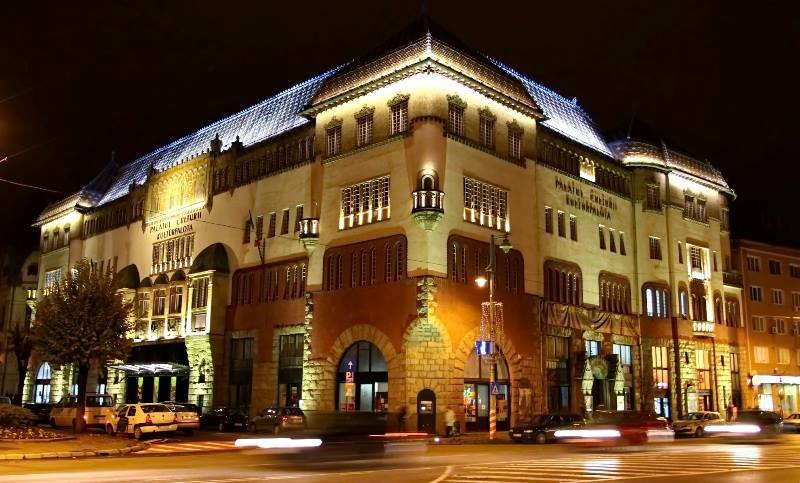 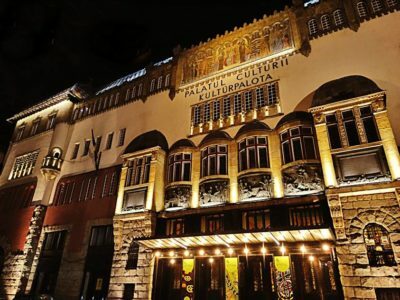 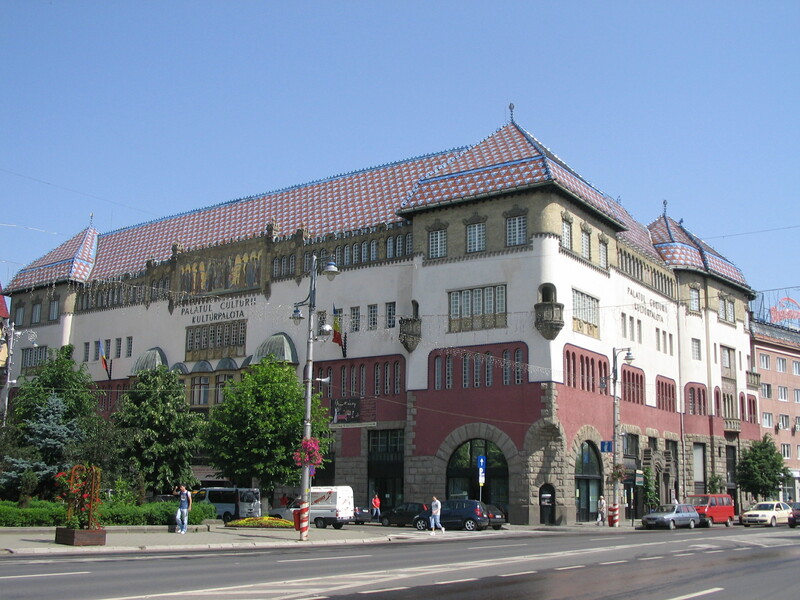 The Palace of Culture is a monument built between 1911-1913, during the administration of Mayor György Bernády. 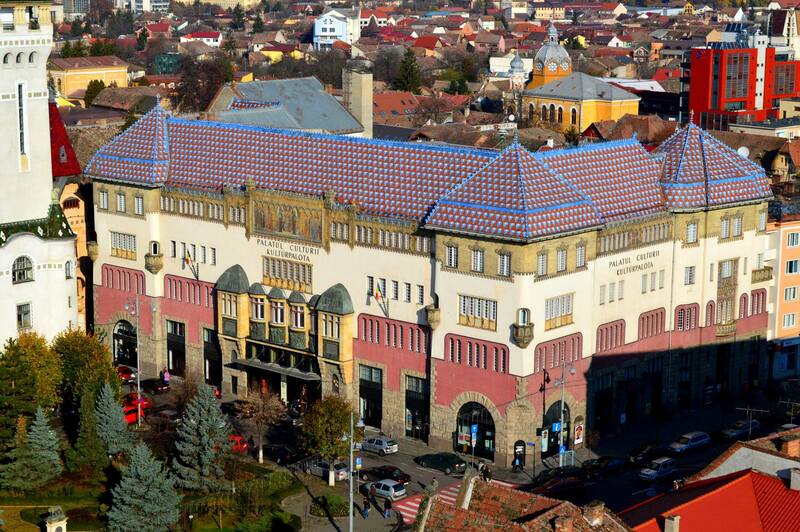 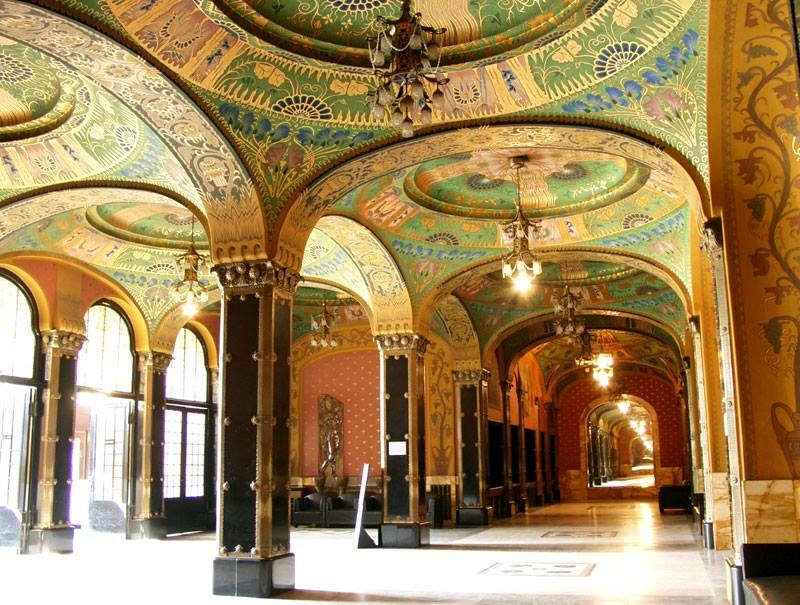 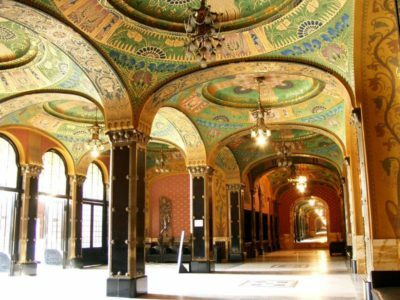 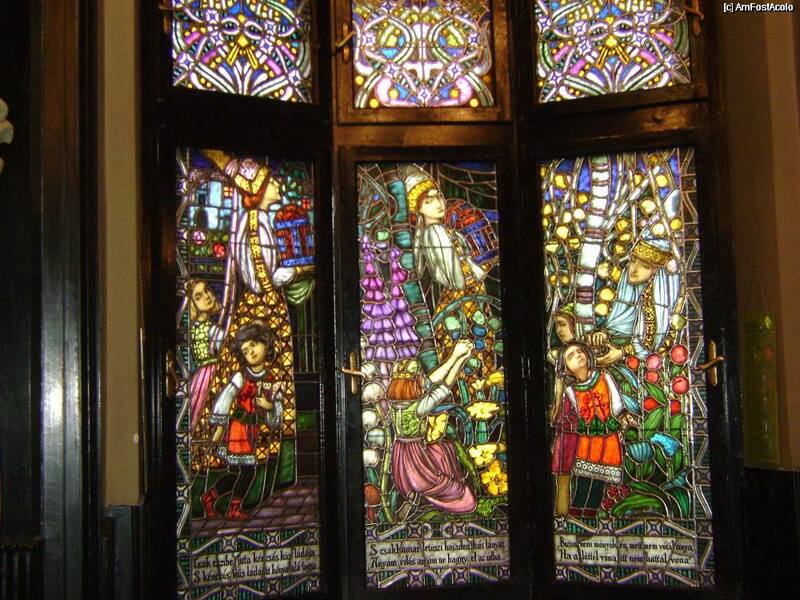 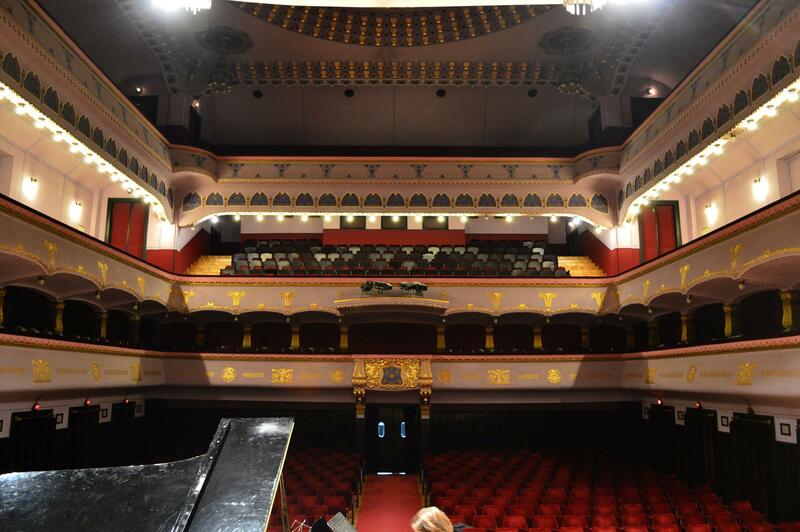 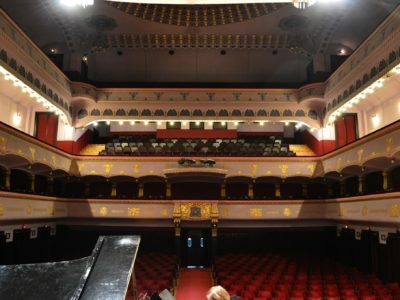 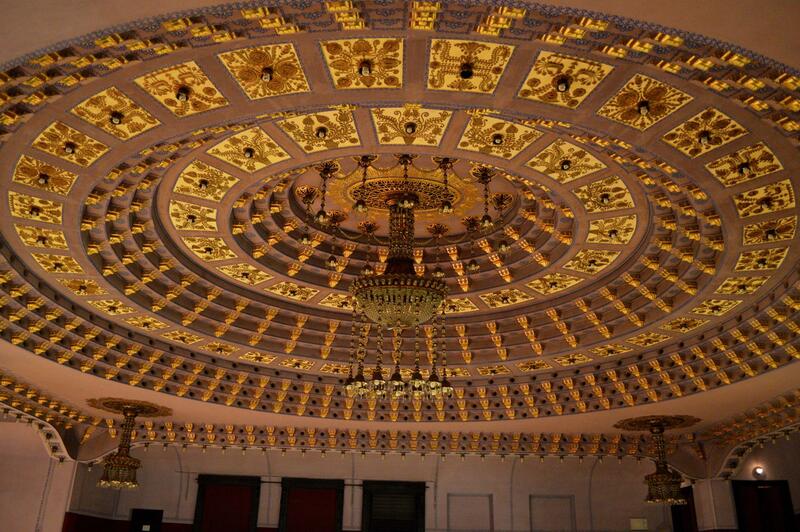 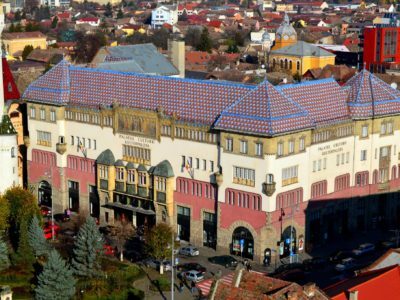 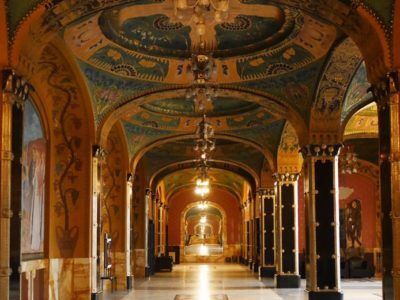 It is one of the most representative buildings of the Belle Époque in Transylvania. 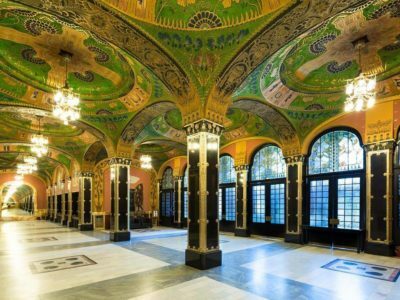 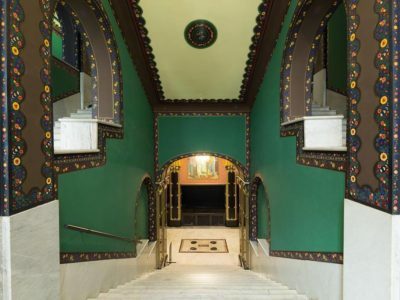 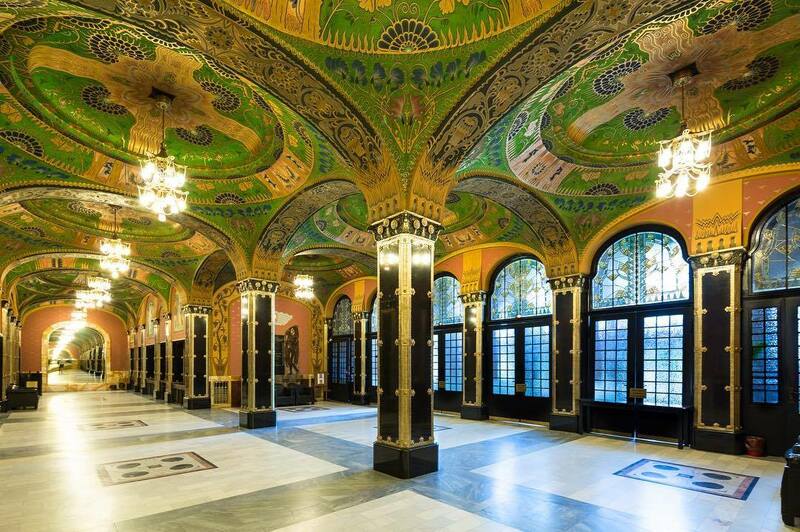 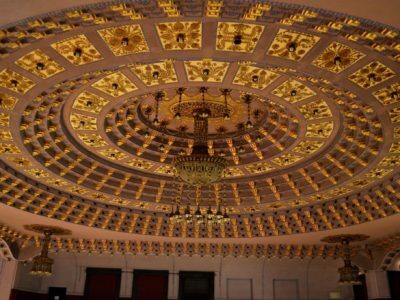 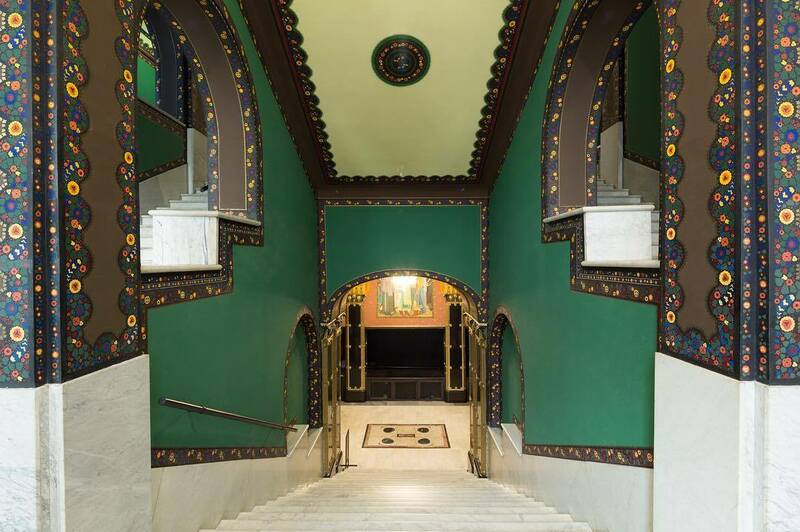 The palace is decorated on the outside with mosaics and bas-reliefs in bronze and stone, in Secession style, a version of Art Nouveau. 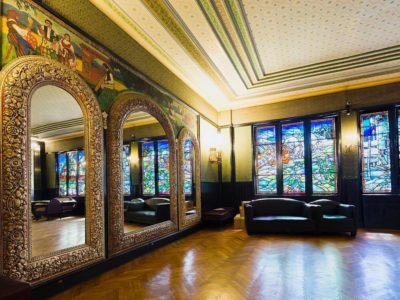 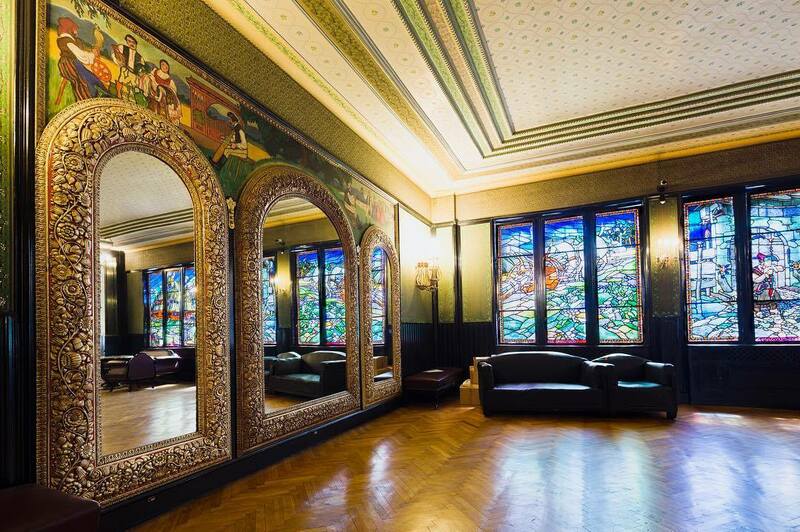 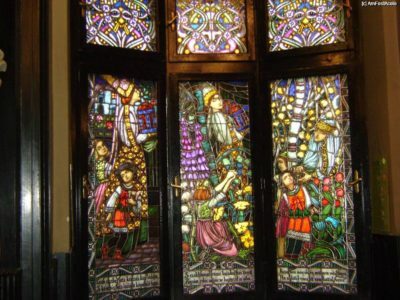 The entire wall from the street of the Mirror Hall is covered by two groups of three large crystal mirrors and brightly colored stained glass.